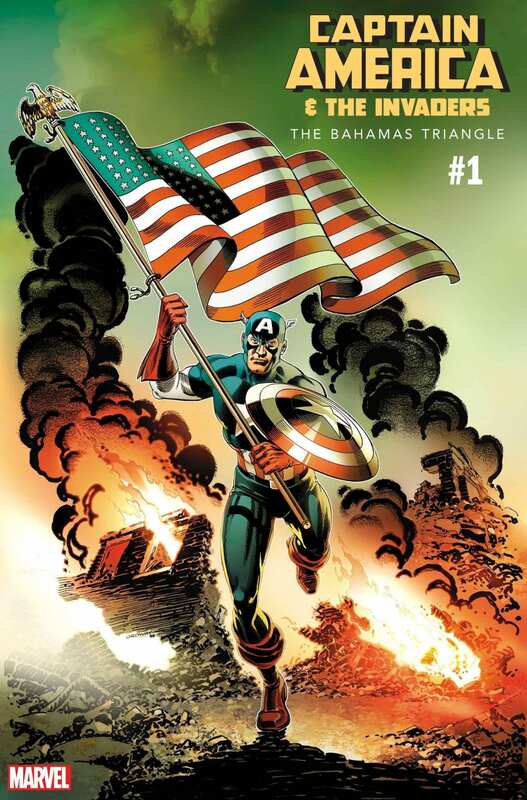 Marvel Comics announces a new series, Captain America & The Invaders: The Bahamas Triangle, with issue #1 dropping this July. The book is written by Will Eisner Comic Book Hall of Famer Roy Thomas, with art by Inkpot Award-winning Jerry Ordway, and multiple variant covers by Ron Lim and Patch Zircher. No one has a greater love for The Invaders than Thomas; he created the original team with artist Sal Buscema in The Avengers #71 (December 1969). March 1941. Assigned to safeguard President Roosevelt during a fishing trip in the Bahamas, the newly commissioned Cap endures his baptism under fire — while a German U-boat (carrying the Nazi super-soldier called Der Wunderkrieger (or Wonder Warrior) heads for the island chain’s capital! His mission: to kidnap England’s once-king, the Duke of Windsor, and sit him on the throne of a defeated Britain! But others happen to be in that part of the Atlantic as well — the once-bitter rivals the Sub-Mariner and the Human Torch! Ordway has contributed to some of the biggest books in the industry during his career, and now we get to see what he comes up with working on vintage characters from Marvel’s early days. This will be the second Invaders series out currently, joining the series by Chip Zdarsky, Carlos Magno, Butch Guice, Alex Guimaraes, and Travis Lanham. Are you excited to see The Invaders in their prime? Comment below with your thoughts. I’m very excited about this. 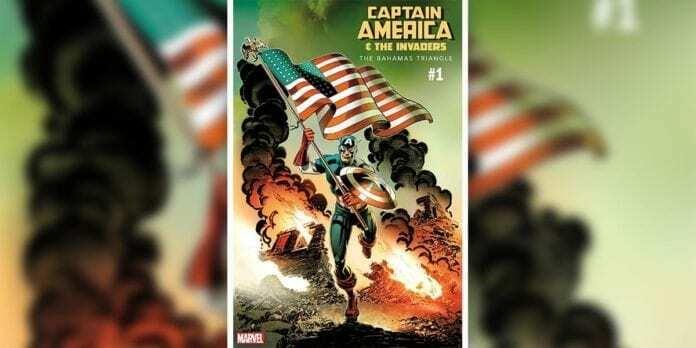 Finally, a Captain America ( my favorite superhero since I started reading comic books in the mid 1960’s ) comic book ( including the current Invaders series, that is ) that I have no doubt whatsoever I’ll enjoy. That used to be the case for me with many of Marvel’s comic books; bought MANY and rarely had one that I didn’t enjoy ( back in the 60’s to the early ’80s). It’s great to have one on the horizon that I already know is gonna be great. I wish Roy the Boy Thomas and Joltin’ Jerry Ordway could take over Cap’s regular series. Ahhhhhhh, the classic costume of Captain America!